I’ve spent the last few weeks hunting bluebonnets. While not as prolific a display as 2010, there were still some gems to be found (and still are, hopefully). One of my favorite roads is FM 152 between Llano and Castell. This winding road often has roadside displays of bluebonnets, phlox, poppies, and other colorful blooms each spring, and this year was no different. Texas country roads are wonderful to explore in April and May. Here, a vibrant display of wildfowers – stork’s bill and bluebonnets – greet visitors on Highway 152 just outside of Llano. Another of my favorite roads in the Hill Country is 3347 just west of Marble Falls. This road has a few dirt roads that connect to it that can be quite colorful in good years. 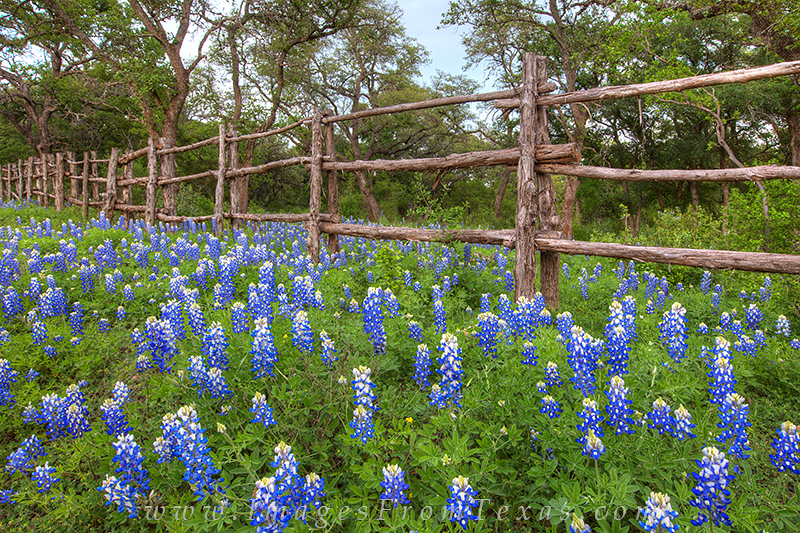 After winding along a twisting dirt road between Fredericksburg and Llano in the heart of the Texas Hill Country, I came across this old wooden fence with bluebonnets all around. I really enjoy scenes like this. It seems this is the essence of the Hill Country in spring. In any case, these wildflowers are here and I’d better get back on the road in search of more beautiful Texas landscapes! 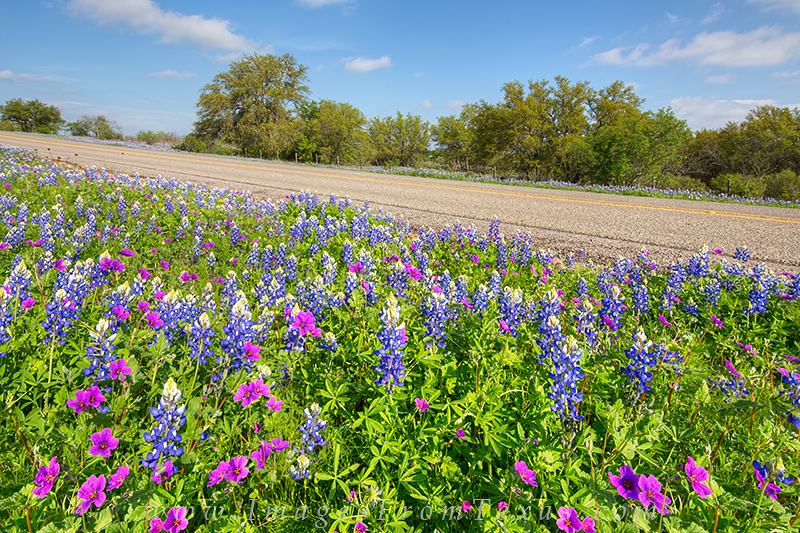 Feel free to check out my latest bluebonnet images or see my updates on my Texas facebook page. Posted in Texas Wildflowers and tagged bluebonnet images, bluebonnets, images, prints, texas hill country, texas landscapes, Texas wildflowers on April 18, 2015 by Rob Greebon.